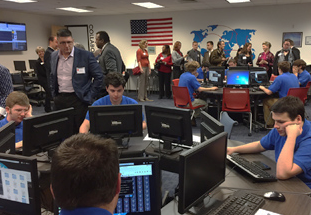 Cyber Range Hubs aim to establish Michigan as the national epicenter for security training and workforce development. A Cyber Range Hub is a magnet site for your community that brings people, schools and employers together to be part of the cybersecurity ecosystem. Hub sites are used to host events, exercises and training classes. Companies can access virtual infrastructure for product development, testing and demonstration. Statewide hubs operate as a physical extension of the Michigan Cyber Range, the nation’s largest unclassified cyber range. Hubs offer more than forty industry-recognized certifications, exercises and workshops aimed at qualifying individuals for positions and contracts in cybersecurity fields. Though the funding of the Merit Community Supporter program, Merit offers scholarships to cover some fees associated with Cyber Education and Training courses for Merit Members who would otherwise be unable to attend. 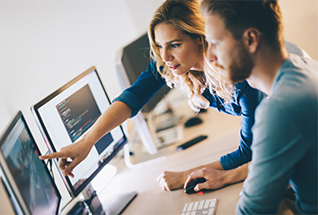 TEACH: Provide access to lab-based experiential learning and certification for all compliance requirements and frameworks, including NIST, NICE, NSA, DoD 8570, HiTrust, FFIEC, PCI, CJIS and CSA. TEST: Engage, support and attract surrounding industries and entrepreneurs to provide cost effective and scalable access to software, systems and penetration testing. TRAIN: Host live security attack and defense exercises to benchmark skills across the spectrum, from K-20 to public, private, defense and military sectors.